Where should the early stage ecommerce startups focus, in the first year of their inception? This is the question that engulfs every ecommerce entrepreneur’s mind. And rightly so, because focusing on the most important part of business projection can make or break the deal for the business owners. While some business analysts say brand awareness is the area of concern, others say it’s the direct marketing that takes precedence. But before we proceed with the age old debate, let’s see what these two marketing strategies mean. The focus of brand marketing is towards building awareness. It’s about announcing that your ecommerce venture is up and running and telling people what it does, with a whole lot of zing. Brand marketing is eloquent, creative, hoity-toity and attention grabbing. It’s a bird, it’s a plane, it’s Superman! Get it? You know Oppo, the popular smartphone brand that also happens to be an official partner of FC Barcelona, invests a lot of money or branding. However, OnePlus, which also happens to be a subsidiary of Oppo, didn’t spend a lot on branding. Rather, they make their product, tell people what it is capable of, and that’s it. The very first model, OnePlus One sold like hot cakes among smartphone aficionados. You see, direct marketing is about directly telling people what your business is about and giving them the option to do business with you right away. 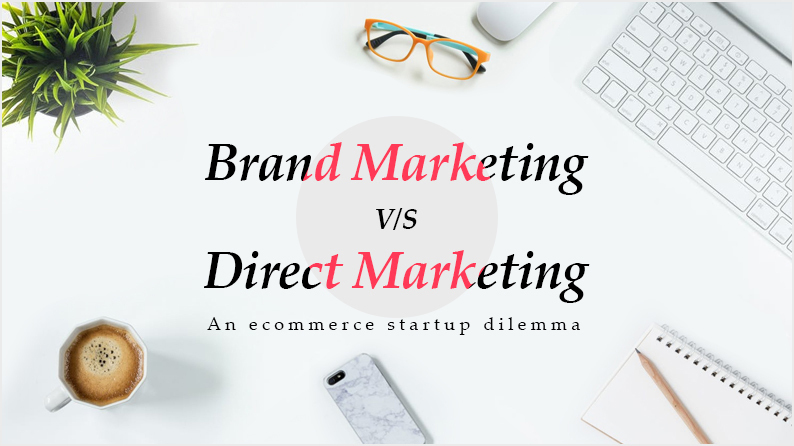 Costly and Difficult: First things first, creating brand awareness for an ecommerce business is not an easy task, and it’s not at all affordable, at least for early age startups. Many companies have spent millions of dollars on branding, and as a startup, we recommend you to steer clear of spending such a hefty amount, if you have such a hefty amount. And if you do, save it for rainy day, or keep saving it for branding in future. But not now. No Way To Measure ROI: New ecommerce startups need to know how much return they are getting on their investments, especially marketing efforts. Brand marketing doesn’t show you the return, so you can’t measure how efficient it has been for you. So it would be better for new entrepreneurs to focus on marketing channels that they can measure for efficacy. No Immediate Cash: That sounds like a deal-breaker, doesn’t it? A new company needs consistent cash flow to keep the operations intact. A slight jolt in cash flow can lead to the butterfly effect. For an ecommerce startup, cash flow is really important to keep the payments flowing, both inward and outward. You don’t want the flow to stop, so for the time being, brand marketing should not be your focus. Branding doesn’t encourage buying, neither does it offer anything; it simply tells people who you are and what you do. There’s a difference between brand and brand marketing. Remember we talked about Oppo and OnePlus in the beginning? There are many brands that didn’t have to spend a lot of money on advertising. Their products were so amazing that people talked about it all the time, and created a niche for it. Just ask yourself this question: who would you trust more, a company that says it’s good, or a genuine end user who says the company is good? Good brands often have their customers sell for them, word of mouth, that’s the word. It Works: Sounds too direct to be true? Well, that’s exactly why direct marketing is good, because it works, it sells. Because when you are selling directly, you are either creating demand, or tapping it (we talked about it, remember?). Remember the good old “sell me this pen”? You can create a need for it, or you can entice your audience enough to interest them into buying the pen. Measurable: When you invest your money in AdWords for direct marketing, you know how much you invested, and you’ll be able to measure the outcome with the number of clicks you got, the purchases made, and the revenue generated. Campaigns give a return on investment, sooner or later, high or low, and they are always measurable. Cash: Direct marketing means measurable results, and measurable results also include revenue generated from a campaign. It means there’s some cash received, if not plenty. As Han Seoul said, “50% of something is better than 100% of nothing”, direct marketing gives you measurable results, better selling opportunity. These benefits are available in brand marketing, at least not in a short span of time, and neither are the efforts measurable. Don’t spend too much time in branding in the beginning, focus on sales, because sales will keep you on your feet. No matter how many people know about your business, if they ain’t buying, you ain’t earning. 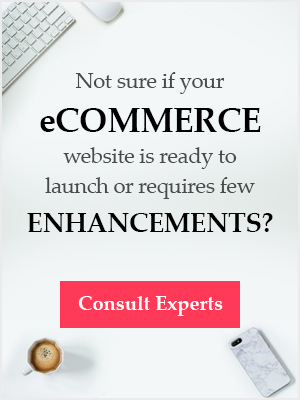 Are you sure your eCommerce business has all the right elements to become successful?